Welcome to another edition of the Community Corner! It’s been an incredibly busy month with a re-skinned forum, a festival of quest-related-goodness, and tons more for you to sink your teeth into. The RuneScape Community is always buzzing with activity; so if you want to get your stuff seen – from events to videos – we want to hear about it! Just send us an e-mail to community@jagex.com and it could feature in a future edition! There’s tons of great stuff going on in-game this month – it’s an event bonanza! One of the highlights of every year has to be the RuneScape Gathering. In its 9th year, the RuneScape Gathering 2015 will be happening in RuneScape and Old School RuneScape simultaneously on Saturday 18th April at 7PM BST. For full details, head over to the event’s dedicated forum thread. There’ll be famous faces, JMods and hundreds of players in attendance so clear your diary and we’ll see you on Ice Mountain! There are JMod events galore this month – there really is something for everyone. Last month we took on Vorago; and this month we’ve got loads more planned! There are boss masses, minigames and skill-and-chill sessions throughout the month! Take on the Corporeal Beast with Mod Lee, join us as we team up with AncientSouls FC for a huge game of Stealing Creation, and keep an eye out for a Treasure Hunt with our friends in the Serenity Isle clan! All the details can be found right here. We love to see player made artwork and videos – and this month we’ve been celebrating it! We’ve launched the Community Spotlight playlist on YouTube to showcase all of our favourite player made videos. If you’ve not checked it out yet, then you’re missing out on some RSMVs, guides, a bit of IRL RuneScape cooking and some very dodgy animation, all courtesy of the RuneScape community! We’re preparing to announce the winner of Player Gallery 51, but the Gallery will reopen its doors this month, being launched next week with a spring feel – keep your eyes peeled on our Events & Competitions forum. 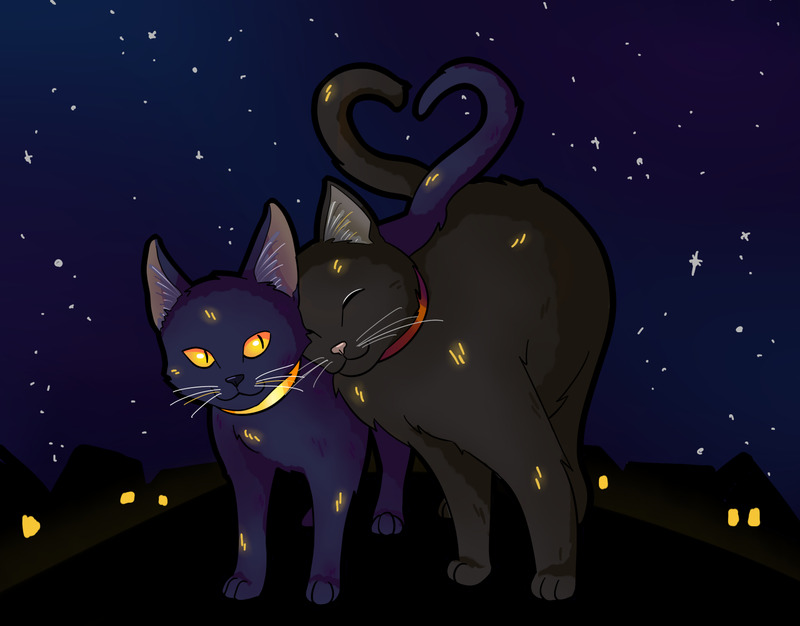 The winner of our 50th Gallery themed around hearts, was Dewydd with the piece titled "Purrfect Couple". Our forums were looking a little worse for wear recently, so we decided to give it a fresh lick of paint! We also took the opportunity to add some cool new features, including spoiler tags, signatures, and adding the ability to link to other pages on the RuneScape website. Check it out! Ahead of RuneScape’s 200th Quest – Dimension of Disaster, we announced our community Questival; featuring competitions, events, Q&As and a whole host of other questy awesomeness. If you want to delve a little deeper into the Dimension of Disaster, then our check out the 200th Quest Q&A which we hosted on our forums. Thanks to our good friend Windsofnight, we’ve now got a transcribed version of the All Things Questing Q&A we ran on the RuneScape subreddit. If you had a burning question about quests past, present or future, then head over to the thread to see if it’s been answered! That’s all for this edition of the Community Corner! If you spot (or even create) something cool that you think the community needs to know about then send it our way! We’re always interested in hearing from you! The picture of Bob and whats the other cats name.... Looks amazing. I'm looking forward to the Runescape Gathering this year. Looking forward to the gathering event Hopefully Mod Lee won't break the mountain again! Rather annoying how people have forum signatures now but I suppose it's what the people wanted? Other forum updates I think are great. Very nice. Congratulations to the winners! I'm happy Quester won the Best Quester competition. Seems fair . The mall video on the playlist is pretty humorous . Also, congrats to Quester on the competition ! Quite an achievement.